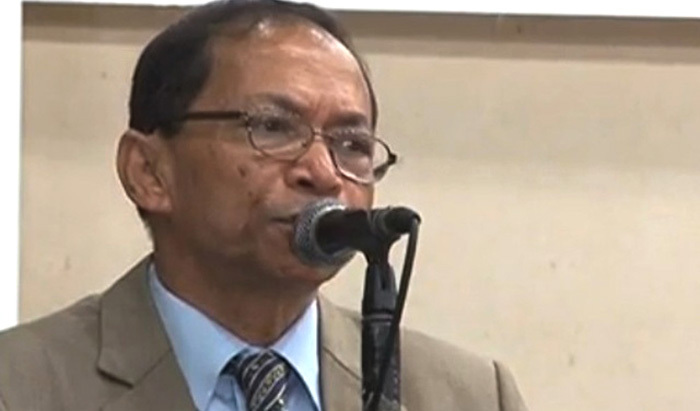 Chief Justice (CJ) Surendra Kumar Sinha has warned law ministry officials not to endanger their position by having a tendency to dominate the Supreme Court (SC). Law ministry officials ranking from assistant judge to senior district judge are inferior to SC judges in terms of knowledge and experience, he said. “A little learning is a dangerous thing... it will be a great mistake if it (law ministry) gives a clarification of a law and claims it to be correct,” he added. The CJ made the statement on Monday while hearing the government’s compliance of the SC verdict in the Mazdar Hossain case, popularly known as a judiciary separation case. The judiciary was separated from the executive organ of the government following the SC verdict in the case. Although the government separated the judiciary, it is yet to implement all the directives of the apex court. The SC wants the government to make a fresh service and disciplinary rules for lower court judges so that their appointment, promotion, transfer, punishment and termination will be dealt by the apex court. The law ministry is entrusted with conducting the issues. During the hearing, Attorney-General Mahbubey Alam prayed to the SC for more time for the government to make fresh service rules. Earlier on May 9, the SC issued a circular restricting foreign tour of 17 lower court judges. It said the apex court was not consulted before sending them abroad, UNB reports. Under the SC directives in the judgment of the case, it is mandatory for the government to take its (SC) advice before sending lower court judges abroad.